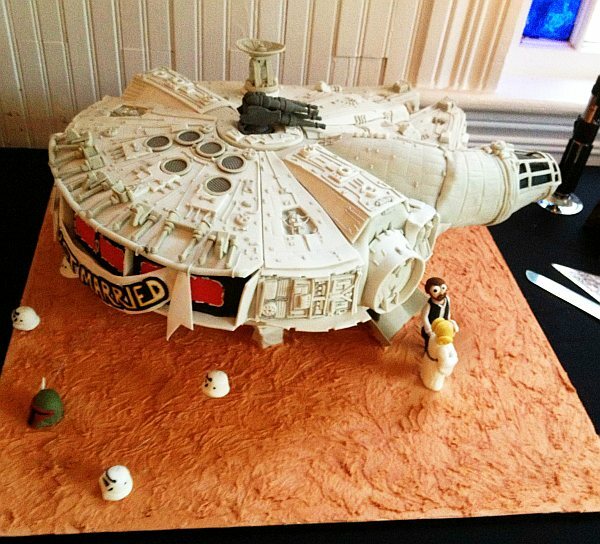 This Millenium Falcon wedding cake looks delicious, although you have to really feel for our buddy Han. He looks really scared there with his eyes popping out of his fondant head. I’m not sure of all the construction details, but they did an amazing job. The detail is super nice, right down to the guns and radar dish. I’m not sure why Leia is blonde though. Probably because the bride is a blonde. 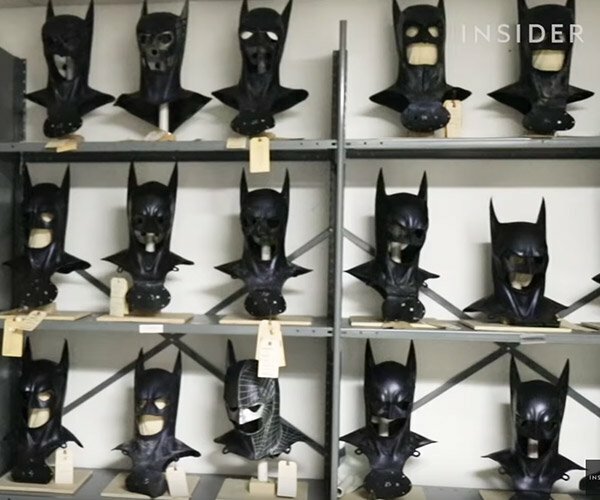 And the heads of Boba Fett and some stormtroopers are a nice touch. And not a spot on it suggesting that a finger had poked at it to get a taste. Well, I hope that this couple shares a happy life full of geek treats like this cake. Well, not so much that they end up looking like Jabba though. Great cake!